Croatia is a fantastic European destination which has become increasingly popular after the war of the early 1990s. And with good reason, as not only has its history meant prices are lower than in western Europe (perhaps not for long if it joins the Eurozone? ), but it is an amazingly scenic country with a photogenic coastline, great food and many other hidden gems. Over the years, many of the Europe a la Carte writers have visited Croatia and one former writer was based in Zagreb, so our archives are jam-packed with suggestions on places to see in Croatia. I’ve sorted through and here are my travel tips on 25 places to see to give you a good overall experience in Croatia – with plenty of relaxing coastal time included! Starting off away from the coast, the Plitvice Lakes are not only one of the most gorgeous sites in Croatia, but one of my favourite places ever in all the world! The Plitvice Lakes National Park is in the middle of Croatia, close to the border with Bosnia & Herzegovina, and was with good reason one of the first natural sites to be put on the UNESCO World Heritage list. You can explore the lakes and waterfalls on foot via excellent pathways and small bridges and I promise you’ll break your personal record on number of photos taken in one day! At the southern end of Croatia, the city of Dubrovnik has already become a major tourist drawcard. There is plenty to see here but walking the wallsÂ around the Old Town is one of the highlights. You can get more Dubrovnik ideas in our Best of Dubrovnik Travel Tips post. The Croatian capital, Zagreb, is another great destination, and in particular its Old Town is well worth a good look around. There are all kinds of interesting insider tips from resident Neha in our Best of Zagreb Tips post. Croatia is, of course, famous for gorgeous islands, beaches and clear blue sea, and a popular spot to enjoy this is at Bol, on the island of Brac. In particular, the Â Zlatni Rat beach at Bol is one of the most beautiful in the country – but at the peak of summer, be warned that you definitely not be alone there! A kind of “mini version” of Dubrovnik is the walled town of KorculaÂ which is found on (logically enough) the island of Korcula, one of the most visited of Croatia’s many islands. Check our post onÂ five things to do in Korcula for more ideas. For somewhere a little less popular, you can try the island of Palmizana (also known as the island of St Klement), a tiny island not far from Hvar. Our Croatian expert Neha proclaimed it be one of the best places to visit in Croatia. A great day trip from the larger city of Split, a visit to the small town of Trogir is a fascinating one for those with an interest in the local history. The Fortress Kamerlengo in Trogir dates back to the fourteenth century but these days you can ascend it relatively easily (if you’re good with steps! ), and there are numerous other historical sites to explore. Grozhjan is best known as a artists’ colony where you can buy locally made souvenirs. A surprise spot for me when I visited Croatia was the coastal tourist town of Biograd. Not far from Zadar, Biograd has been a tourist resort since the 1920s and has plenty of tourist infrastructure so you can enjoy a holiday there, especially in summer.Â Â I was particularly taken by this cafe with its large outdoor (and very comfortable) sofas, although I haven’t been able to find out if it is still there! A good part of Croatia all year round – it never gets too cold – is the Opatija Riviera, and a highlight here is the smallÂ fishing village of Volosko. As you might imagine, being a fishing village means there are fantastic seafood dining options here! If you ask around for the best island to visit in Croatia, plenty of people will tell you it’s the popular tourist destination of Hvar – and with good reason. A good tip from Neha is to climb up to the fortress at HvarÂ where you’ll be rewarded with some spectacular views. For something a little different, you might like to try a spot in Croatia that’s made it into theÂ GuinnessÂ records as the smallest town in the world â€“ the town of HumÂ on the Istrian coast in northern Croatia. It’s a walled town home to just 23 people and the local pub is famous for a special 2,000 year old brandy recipe! And while in Istria, you might like to follow Heather’s tips on enjoying a cycle ride in Istria. You can cycle along paths by the sea and cool off in any number of great swimming spots along the way. The seaside town of Rovinj is another popular tourist destination in Croatia, again with good reason: gorgeous old buildings, a pretty marina, and fantastic seafood restaurants. If you’re looking for an island slightly less popular than Hvar, then perhaps the island of Vis might be more your style. Reached from Split, it was long off-bounds to even the locals (it was used as an army base until 1990) so it has managed to avoid many of the negatives of tourist-related development. 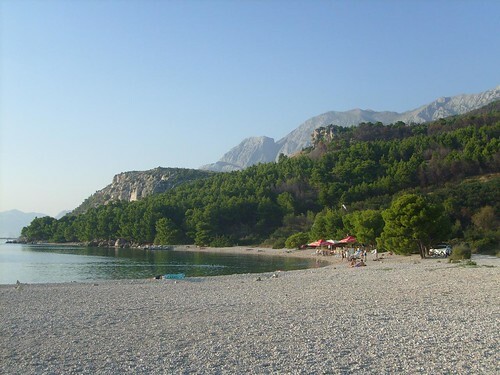 The Makarska Riviera is a popular part of the Croatian mainland coast during summer. There are numerous small towns all along the coast and even more spectacular beaches. An interesting day or half day trip from Zagreb, as recommended by Neha, is the small mill village of Rastoke. There are old walkways around the village between the various mills and even the possibility to grab a coffee by a scenic waterfall. Being Â a major hub for inbound budget flights, and pretty centrally-located to boot, the city of Split is a common destination for visitors to Croatia. It has a bit of everything – a historical Old Town, great night life, good access to beaches and plenty of tasty food around. If the small coastal village life isn’t what you’re after in Croatia then a holiday in Split is a great alternative. Karen spent some time in the Istrian city of PulaÂ in the north of Croatia and admired its Coliseum and other historical features. It’s certainly a fascinating city and Jason wrote us a detailed post on Pula while he lived there. When you get down the Croatian coast to Dubrovnik, your ideal island experience becomes the Elaphite Islands, a group of six islands all within a reasonably short ferry ride of Dubrovnik. They are car-free islands making them great for a relaxing beachside holiday. 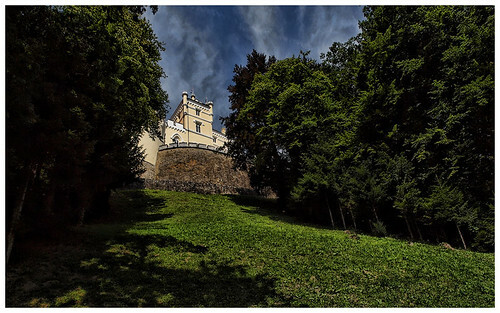 The Trakoscan Castle just outside Zagreb is a different side of Croatia again. It dates back to the thirteenth century and is now a museum with rooms set up to represent various authentic eras, and it even has dungeons! Sibenik is located on the coast between Zadar and Split and is known for both its spectacular St James Cathedral and its great food (seafood, of course!). Check Karen’s post on Sibenik and you’ll see her video of the centre. Not far from Sibenik is the Krka National Park, which is not dissimilar in some ways to my beloved Plitvice Lakes National Park. It covers a part of the Krka River with numerous high waterfalls and pools of the river and you can explore it by boat and via walkways. Another tip from Jason was to visit the island of Losinj and its towns of Mali Losinj and Veli Losinj (meaning Small Losinj and Big Losinj, although apparently the names are the opposite to the size of the towns!). 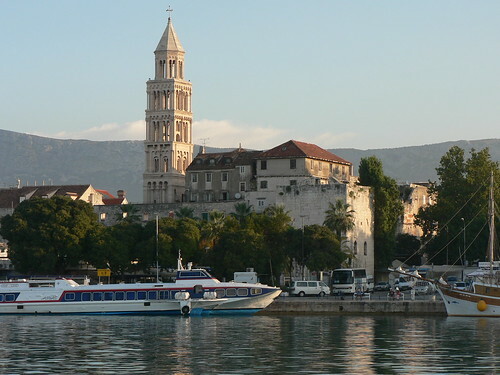 They feature some gorgeous churches and other historical architecture along with theÂ ubiquitous Croatian seafood. The city of Zadar, another relatively large coastal city, is of particular interest for its installations in the promenade area. There’s a Sea Organ which is basically a large organ under the seaside steps which is “played” by the waves – very unique! – as well as the “Greeting to the Sun“, a nearby installation of glass panels which makes all kind of unique light patterns. There are so many other spots to see in Croatia, both well-known and nearly unknown – so if you have any tips for what to do in Croatia, please leave a comment. This entry was posted in Croatia, Travel Tips on January 5, 2012 by Amanda Kendle.